Recessed handle with three-point locking system. Four 5" casters, two locking, for easy mobility. 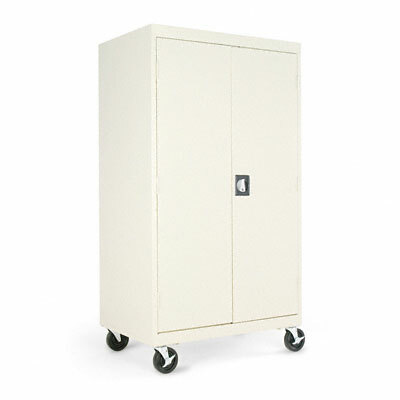 Fully enclosed cabinet holds up to 900 lbs. Industrial grade steel with powder coated finish. 66" high fully enclosed mobile AV cabinet has recessed handle with three-point locking system. Four 5" casters, two locking, for easy mobility. Cord management hides unsightly cords and cables. Cabinet holds up to 900 lbs.